We live in a time where everyone wants to know how their personal information will be used and stored. Transparency on this builds trust with your clients and customers. And what business doesn’t want to be trusted by those they serve? 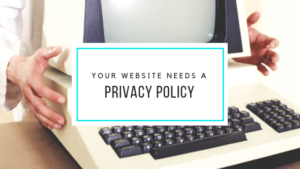 So what does your policy need to say? How its customers may access the information collected about them and what choices they have to review, edit/correct, and perhaps delete such information.